Whether you’re buying a new roof because of an unexpected event like a severe storm, or buying one because yours is too old, taking the time to selecting the right residential roofing contractor—and the right roof—will pay dividends over the long term. While you might feel some urgency, depending on your situation, take a deep breath, do your research, and ask the right questions to determine the right steps to take. The Roof Authority is Fort Peirce’s top roofing contractor and can help you select the perfect roof for your home and install it with expertise. We’ve been in business since 1993, and have installed countless residential and commercial roofs, green roofs, and new construction roofs. When you need roof repair or replacement, we are the company to call! 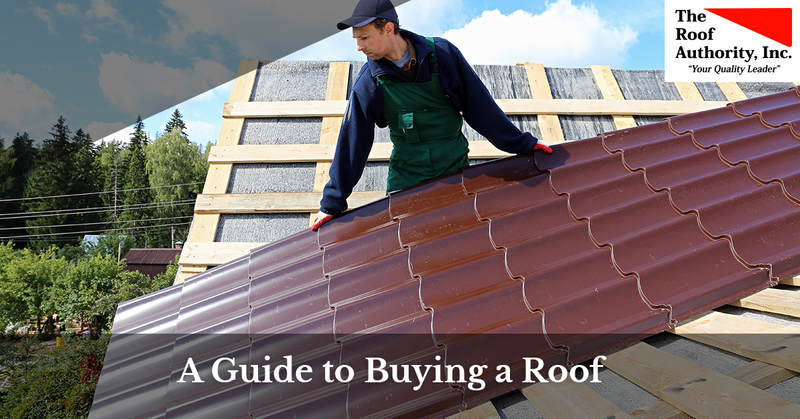 Here are things to keep in mind when buying a new roof. While you might be focused on the aesthetics, and want to choose just the right look for your home, keep in mind that none of that will matter if you don’t hire the right roofing contractors. Make sure you’re asking the right questions, checking references, and making sure they’re legitimate. Also ask if they have financing or how they will handle insurance claims. Get an estimate in writing, as well as the payment timeline. If the potential roofer you’re looking at can’t deliver on any of these, keep looking. A new roof will make a huge difference in your energy bills and overall comfort. However, you can go with a variety of options to really focus on the energy efficiency of your home. Ask your residential roofer about the options you have available in your area and in your budget (and you might even consider green roofing options!). Consider where your home is located. This goes beyond the geographical location, too! A person who lives in a typically shady area under lots of trees might want a different type of shingles, insulation, and other materials than somebody who lives in a place that’s exposed to the hot rays of the sun all day. And don’t forget your homeowners’ association (HOA)! Your neighborhood could have specific requirements and restrictions that you will have to keep in mind. The idea of having a roof installed only to get hit with a fine and the cost of a new roof is heartbreaking, to say the least. In Florida, where we are susceptible to severe weather and hurricanes, you will want to have your home prepared for the potential damage. We recommend having this done at the time your roof is installed, which will not only make it easier, but will take the burden off having to get it done last minute when everybody else wants to do it. Your home, your preferences, and your setting will call for specific materials and techniques. Contact The Roof Authority to come to your home. We will perform an inspection, discuss options, and provide you with a free estimate. We are fully licensed, bondable, and insured, and will get the job done in a way that exceeds expectations. Call us today!